The New York Section is accepting nominations for the William H. Nichols Medal Award for the year 2020. This distinguished award, established in 1902 by Dr. William H. Nichols, for the purpose of encouraging original research in chemistry, is the first award authorized by the American Chemical Society. 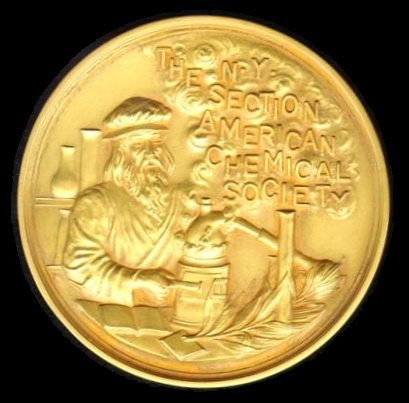 It is presented annually in recognition of an outstanding contribution in the field of chemistry, and consists of a gold medal, a bronze replica and a cash award. The medals are presented at the William H. Nichols Meeting that consists of a Distinguished Symposium related to the medalist's field of expertise and a Medal Award dinner. 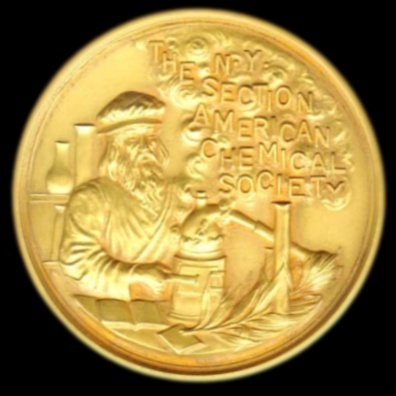 Investigators who have published a significant and original contribution in any field of chemistry during the five calendar years preceding the presentation meeting are eligible for consideration by the Nichols Medal Jury. Each nomination requires a completed Nomination Form, biographical and professional data, and seconding letters. Since the nomination procedure will now utilize the New York Section website, please access the forms and instructions found below. Nominations must be received by May 31, 2019. The Nichols Medal Award Jury will meet in June 2019 to select the Nichols Medalist for 2020. Nominations remain active for a period of five years and additions may be made during that time. After five years, a new nomination is required. New York Section Office via Email. PLEASE... Review the above data for accuracy before submitting.